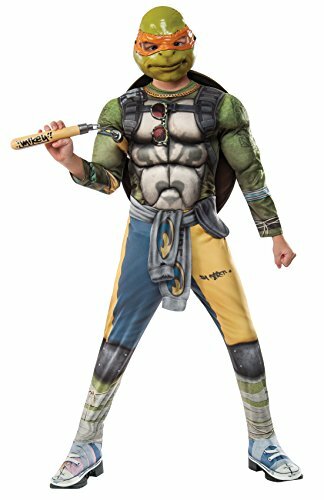 Teenage Mutant Ninja Turtle costumes are all the rage this Halloween – just as they’ve been for many Halloweens before. The characters – named for their Renaissance artist ancestors – all wear various colors so you can tell them apart right away. You can find costumes from toddler to adult and in between online and order with just a click of the mouse rather than fighting the crowds in a mall or shop. There are costumes for all your favorite Ninja turtle heroes. Michelangelo (Mickey) costumes for toddlers are super cute and loving. The toddler version is a green jumpsuit with knee pads and attached elbows. There’s also a green hat and mask of bright orange, with bright turtle eyes. 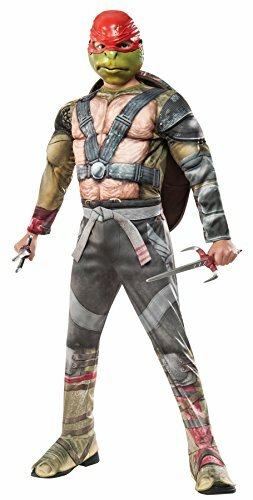 Shoe covers are also part of the Michelangelo costume package – and the best part is the stuffed turtle protection shell in back and soft felt front with an attached belt to make sure it stays on. Leonardo (Leo) is another beloved Ninja turtle and his color is blue. 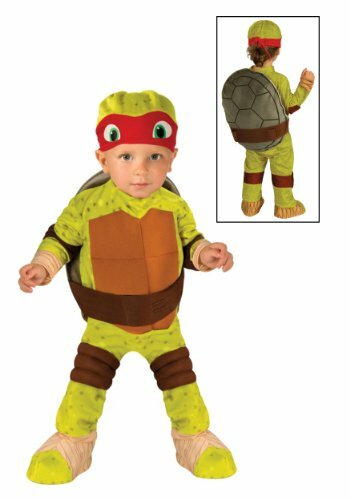 The kids’ costume for Leo comes in the form of a jumpsuit with Velcro closures on the side and faux turtle hands and feet which are attached to the jumpsuit. Leo’s turtle shell is padded as are the belt, knee and arm bands. There’s also an attached hood with Leo’s face that will set your child apart from all the other Ninjas. Your child will love Halloween and playtime as he morphs into his favorite reptile hero. 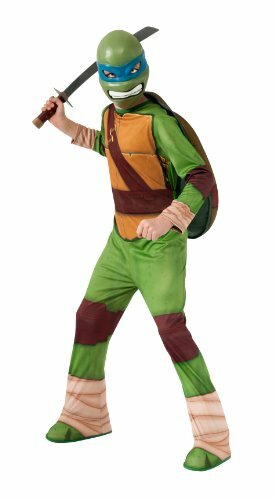 Donatello (Donnie) is another favorite among kids and wears a distinctive Ninja costume consisting of a green jumpsuit adorned with a brown shell for the chest and attached elbow, knee pads and covers for shoes. You’ll also get a green hat and purple Donatello mask. And then there’s Raphael (Raph), the Sai Sword wielding Ninja Turtle who’s always ready for a fight. His costume is a green jumpsuit with a foam belt, belly, shoe covers and wrist cuffs which also comes with knee and elbow pads. 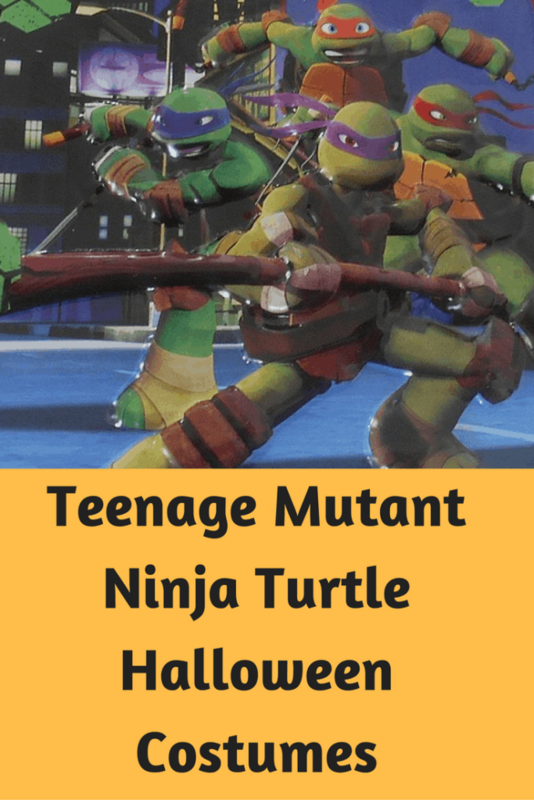 Ninja Turtles have captured the imagination of kids everywhere and their costumes are fun and colorful. 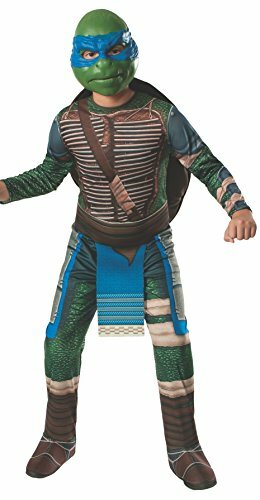 Your child will love wearing one on Halloween night or on days when his Ninja personality comes out and he’s ready for a battle. 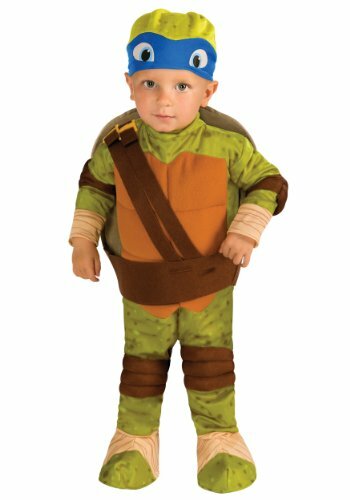 Ninja Turtle costumes can also be found in adult sizes and in versions for both boys and girls – and both are readily available online. You’ll also find accessories and cute ideas for parties. Shop online now to get the best selection of sizes and styles.